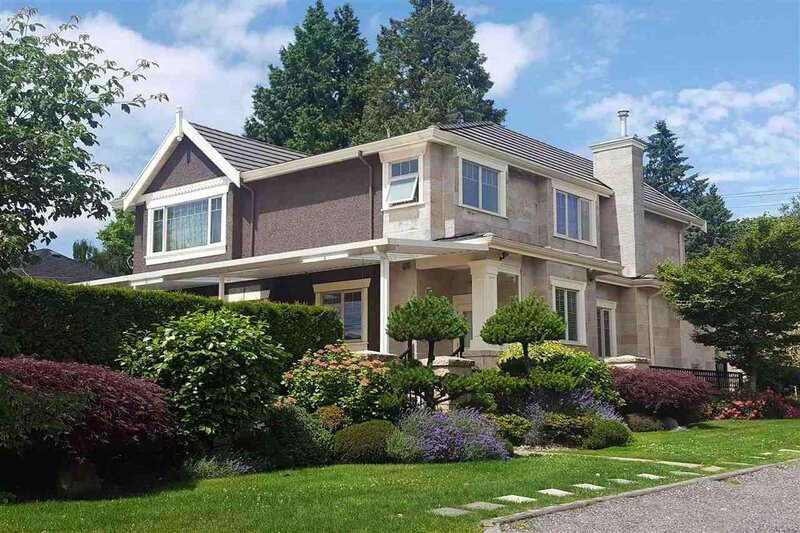 MAGNIFICENT QUALITY BUILT HOME BY EUROPEAN BUILDER located in most PRESTIGIOUS SOUTH GRANVILLE. Extremely well kept luxurious home, almost 4,700 sq.ft. sits on a beautiful landscaped corner lot 60 x 132.5 (7,950 sq. ft.). This home simply offers high ceiling. full atten. to details & supreme quality finishing, extensive used granite thru out the main. 6 bedrooms & den, 5.5 baths, entertainment sized living & dining rooms. 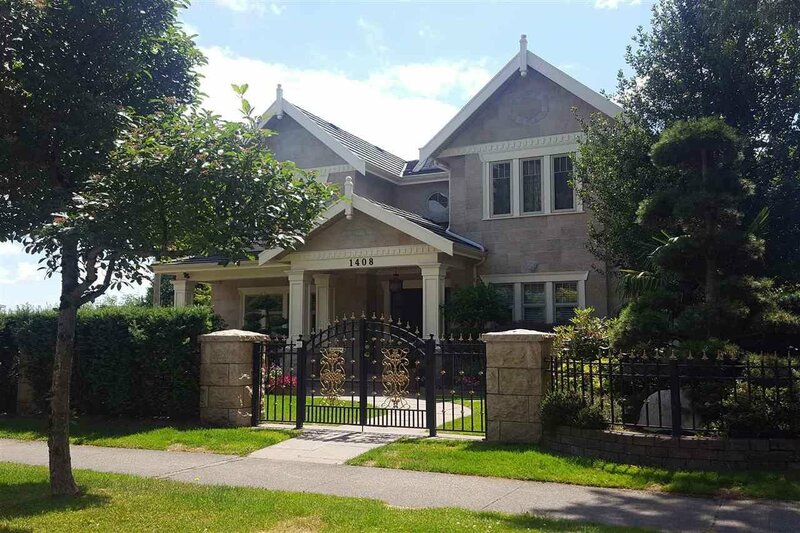 Gourmet Kitchen w/high-end cabinetry & appliances, center island granite top, WOK KIT, HOME THEATRE, SAUNA, STEAM BATH, A/C, Radiant flr heat, secured fenced yard w/PARK-GARDEN & SOUTHERN EXPOSURE BACK YARD. CLOSE TO CHURCHILL HIGH W/IB PROGRAM, YORK HOUSE, CROFTON, ST. GEORGE'S PRIVATE SCHOOL,UBC, BUS.EXCELLENT HOLDING PROPERTY FOR POTENTIAL FUTURE DEVELOPMENT. MUST SEE!